For those who missed out on the stunning lace book by Sharon Miller: weep no more. A completely revised and enlarged version has just been released; read the author's statement about the update in an image at left (Fall 2017). Lace from Shetland has been described as “Knitting’s finest hour,” and is treasured around the world. Here is a wide-ranging book including history, techniques, practical tips and detailed information on design, and how to develop your own patterns. The 312 pages are divided into six sections: Introduction, Knitting Advice, Patterns (segmented into “Centres (sic), Borders, and Edgings" - marked for different skill-levels, Design, Projects, and Miscellany. The Projects include baby items, scarves, shawls, Stole and a full lace Christening Robe. Oversized. Softcover. Updated and Expanded. For those who missed out on the stunning lace book by Sharon Miller: weep no more. 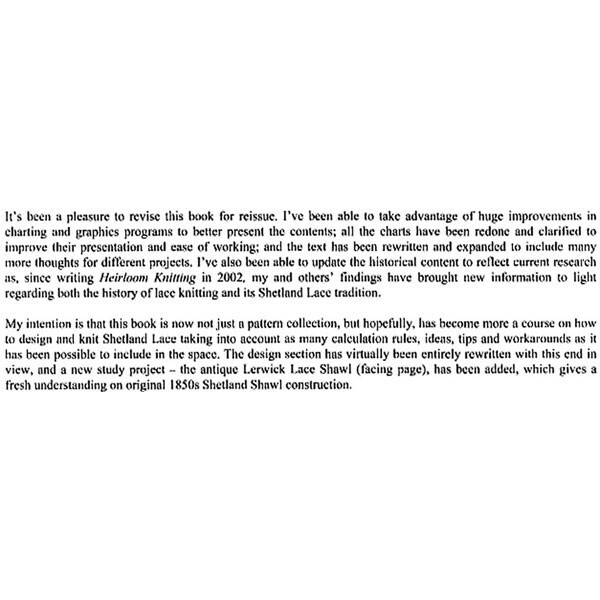 A completely revised and enlarged version has just been released; read the author's statement about the update in an image at left (Fall 2017). 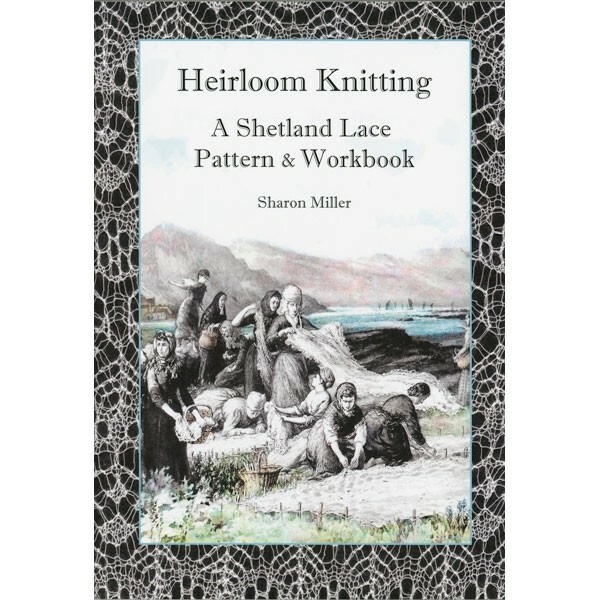 Heirlom Knitting: A Shetland Lace Pattern & Workbook Lace from Shetland has been described as “Knitting’s finest hour,” and is treasured around the world. Here is a wide-ranging book including history, techniques, practical tips and detailed information on design, and how to develop your own patterns. The 312 pages are divided into six sections: Introduction, Knitting Advice, Patterns (segmented into “Centres (sic), Borders, and Edgings" - marked for different skill-levels, Design, Projects, and Miscellany. The Projects include baby items, scarves, shawls, Stole and a full lace Christening Robe. Oversized. Softcover. Updated and Expanded.